Willie's latest solo debut American Classic which is out now has become his most successful album of his career so far reaching #1 on the Billboard's Country Albums chart and racking up more than five million in sales. It earned Nelson a Country Male Vocal Performance Grammy and, most significantly, helped to transform a colorful, middle-aged cult figure into a mainstream star. The iconoclastic singer-songwriter who has been labeled the outlaw of the genre will be joined by his family this June in Ireland to perform all his greatest hits spanning a career of over 50 years. 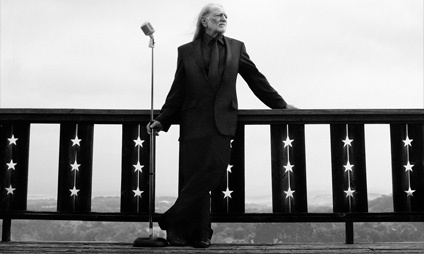 During his extensive career, Willie Nelson has written hundreds of songs many of which were made famous by other stars, some of his greatest songs include "Always on my mind" "On the Road Again" and "Crazy"
Overnight packages available from both our Theatre Hotels call 094 90 23111 for best rates.